Susan has been a licensed agent with River City Insurance Group for over 20 years! Her attention to detail is what allows John to focus on his sales. 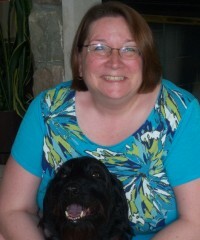 Susan is a very active mom and dog lover. You will often find her encouraging the Scouts in her son's troop to take the next step. She can also be found supporting her son's many interests by attending plays and band concerts at Thornapple Kellogg High School. Susan also enjoys reading. Susan describes herself as a contradiction because her normally reserved self really comes to life on roller coasters. The bigger, the better!